These 63 AMG long tube headers are built in the “Tri-Y” design. 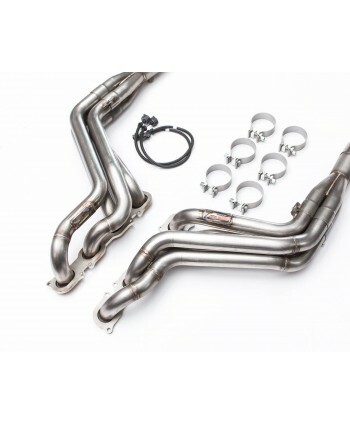 These headers fit the 63 AMG equipped with the M156 6.3 liter, naturally aspirated engine. 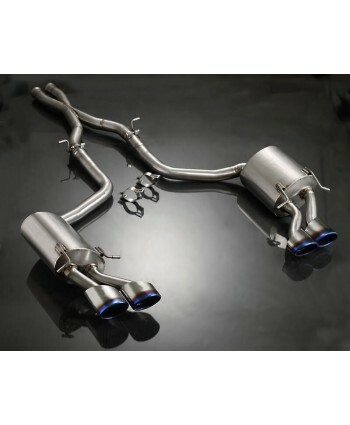 These headers are able to build low end torque, along with fantastic horsepower gains throughout the entire RPM range. 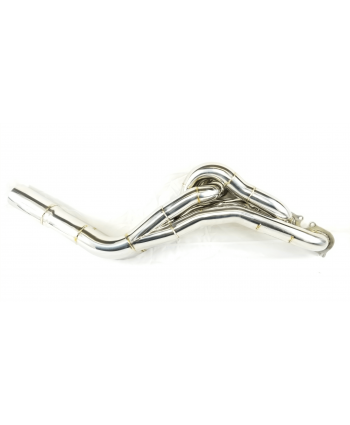 With help for the advanced scavenging design.T-304 Stainless Steel These 63 AMG long tube headers are capable of making 4..
Power Driven Mercedes 6.3L AMG Header features true 304 grade hand TIG welded stainless steel. Utilizing a one piece "shorty" style design to maximize engine compartment space for maximum performance. 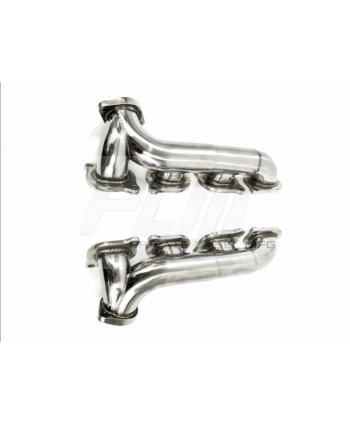 With no cutting & no welding required, this set of headers is100% bolt-on and retain stock catalytic converters. * Gaskets & hardware are included. 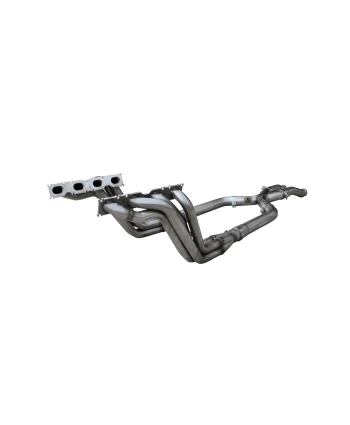 * This set of headers does fi..
Agency Power is pleased to announce its release of the all-new Mercedes Benz E63 Hi-Flow header! This exhaust header fitted for the M156 6.3L V8 offers less restriction, more power, lighter weight and a more aggressive exhaust note. When Mercedes-Benz owners go looking for aftermarket components for their rides they know that they can trust in Agency Power products. Quality components built to las.. Product features on ALL American Racing Headers systems include:100% Made in the USA - Never OutsourcedMade entirely of 304 stainless steel 3/8" thick laser-cut flanges for a warp-free sealHand-ported TIG welded inletsOptimized primary tube routing for superior fit and performanceMerge collectors complete with welded scavenger spikesCatted systems feature 200 cell metallic subs..
New from Agency Power is their full line up of Titanium Exhaust System components custom built for your vehicle. Having dealt with Titanium catbacks, mufflers, and other exhaust components since 2004, we have expanded our line up of systems which give you the ultimate advantage in performance and weight savings. Titanium exhausts are extremely lightweight because of material used. 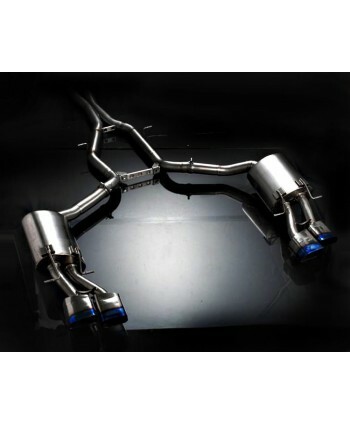 Quality is uphel..
New from Agency Power is our full line up of Titanium Exhaust System components custom built for your vehicle. Having dealt with Titanium catbacks, mufflers, and other exhaust components since 2004, we have expanded our line up of systems which give you the ultimate advantage in performance and weight savings. Titanium exhausts are extremely lightweight because of material used. Quality is upheld ..